A very long time ago I bought TREADING WATER by Marie Force from Amazon, and for some reason that as of this past week I’ve decided was total foolishness I allowed it to wallow in my TBR pile. Since Marie Force is my latest author obsession I decided it was time to dig way deep into my Kindle Cloud and read something a friend has long told me is one of her favorite Marie Force books. Expecting a good read, but not necessarily a heartwarming read that would have me instantly searching my Kindle Cloud for book two in the series I sat down with TREADING WATER. Clare and Jack had a strong marriage, one that many admired until one day a tragedy struck. Clare was struck by a car, and not expected to recover, but Jack the ever faithful loving husband wouldn’t hear of her being denied anything, and despite huge odds while still in a coma Clare survived for years. Clare wasn’t done surprising people though, and what happens next will tear at everyone’s heartstrings. Jack who had finally moved on with life is faced with decisions that no one should have to make, and in the end it’s Clare who makes the decision for both of them. What decision you’re asking? What happens next you’re asking? 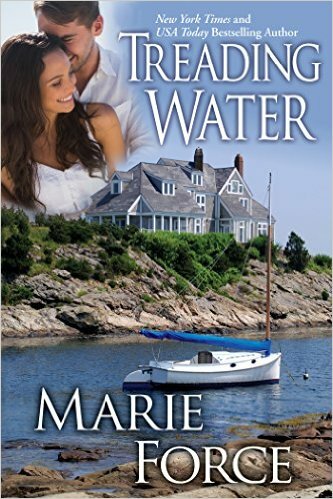 My answer…you’re going to have to get a copy of TREADING WATER by Marie Force and read it for yourself.